Ayjay's countdown to the big day. Post subject: Re: Ayjay's countdown to the big day. Bike carbs fitted and up and running ☺need to fit wiper motor and wipers to new screen and give some general tlc before tax again in April. Hope you are all well and busy making progress with your builds . Bike carbs fitted and up and running [WHITE SMILING FACE]need to fit wiper motor and wipers to new screen and give some general tlc before tax again in April. Last edited by The V8 Files on Sat Jan 02, 2016 12:42 am, edited 2 times in total. Hi all just dropping in to say hello and see all the builds coming along. 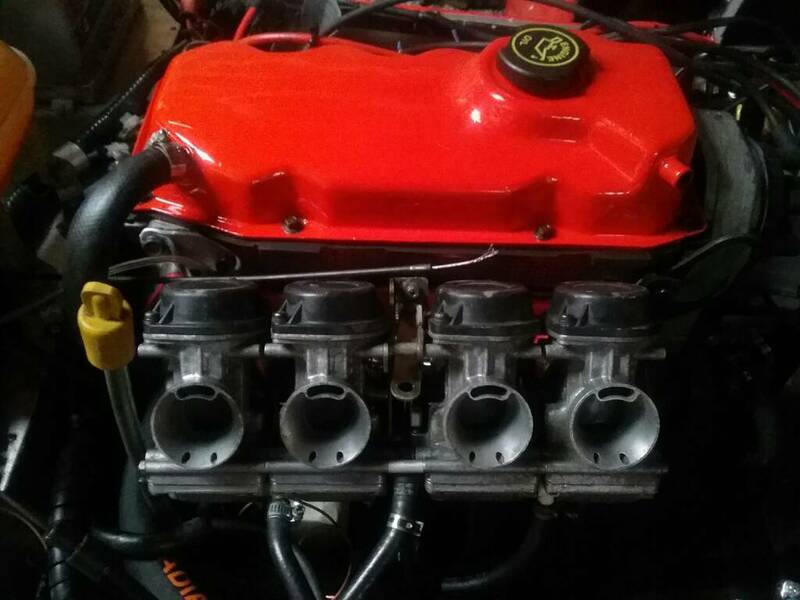 Got a problem with my engine ( 1.8 cvh) smoking so just bought a 1.6 pinto on ebay. OK it didn't take long for the first question. I don't want the cast exhaust manifold so does anyone know which branched manifolds fit please or where to get one? hi Ayjay, good to see you back but sorry about your eng probs. Re the manifold something like this ???? ?